The Bahrain Center for Human Rights (BCHR) is deeply concerned about the deteriorating health of human rights defender Abdulhadi Al-Khawaja, BCHR’s former President, serving a life sentence in Jau prison since 2011 for his human rights activities. The co-founder of both BCHR and the Gulf Centre for Human Rights (GCHR) has been on a hunger strike since 12 April. 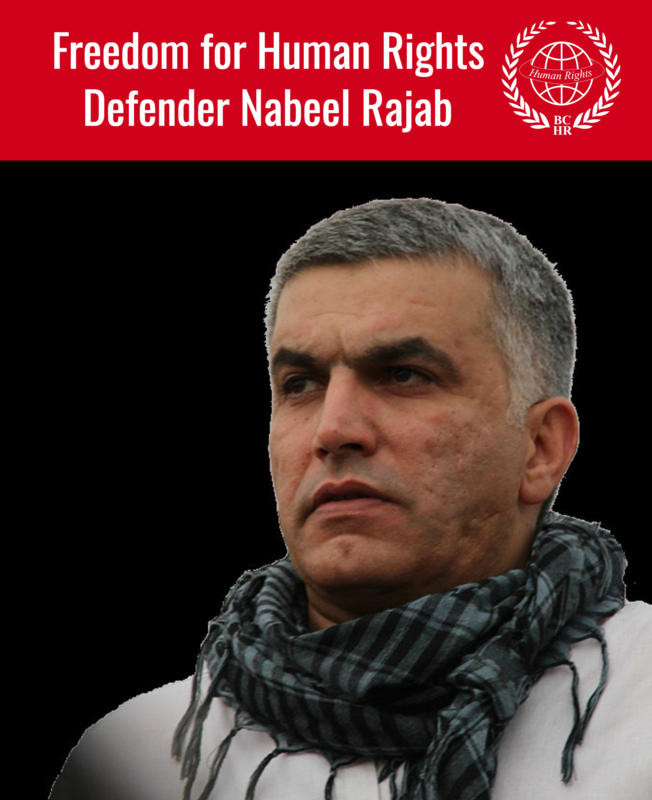 His decision to go on a hunger strike was motivated by the inhumane treatment of detainees in Bahraini prisons and the continued harassment of human rights defenders in Bahrain. 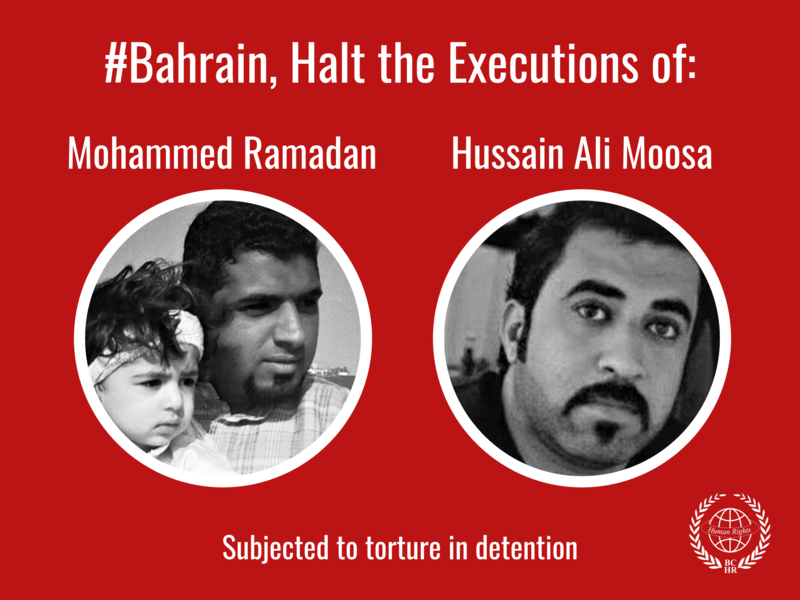 Al-Khawaja’s life is at risk, due to previous health issues and poor prison conditions. On 26 April, Abdulhadi al-Khawaja said that he is willing to temporarily suspend the hunger strike if there are strong statements delivered at Bahrain’s Third Cycle of the UN Universal Periodic Review, which took place Monday 1 May. According to his family's testimony, Al-Khawaja initiated his hunger strike on 12 April. On his third day of the hunger strike, 14 April, Al-Khawaja was transferred to hospital due to low blood sugar levels. He has suffered from stomach ache and intense pain in his lower back. Additionally, Al-Khawaja has also experienced muscle spasms and has had trouble urinating. The latest updates from Al-Khawaja suggest that he is still in a critical condition. On 18 April, he was informed that he would again be forced to wear shackles when going to the prison clinic. He hadn’t been shackled since the beginning of the hunger strike, but previously it had been a requirement for all medical visits. Al-Khawaja has refused to see a doctor if he must be shackled. His weight and condition are unknown currently, but he weighed 56 kg and had low blood pressure as of 17 April. Al-Khawaja feared he would lose consciousness and will be taken to the military hospital to be force fed. He has therefore started to drink few liquids, and his health has improved slightly. In March, it was reported by his family that Al-Khawaja suffered from temporary vision loss. He also experienced headache behind his right eye. Based on the description of his symptoms, an ophthalmologist diagnosed it as Amaurosis fugax - a condition that could lead to permanent vision loss as well as cerebral strokes if he is not provided adequate treatment. At that time, Al-Khawaja was only allowed to see a doctor if he agreed to being shackled and a full strip search, which he refused to do. end all reprisals against human rights defenders.